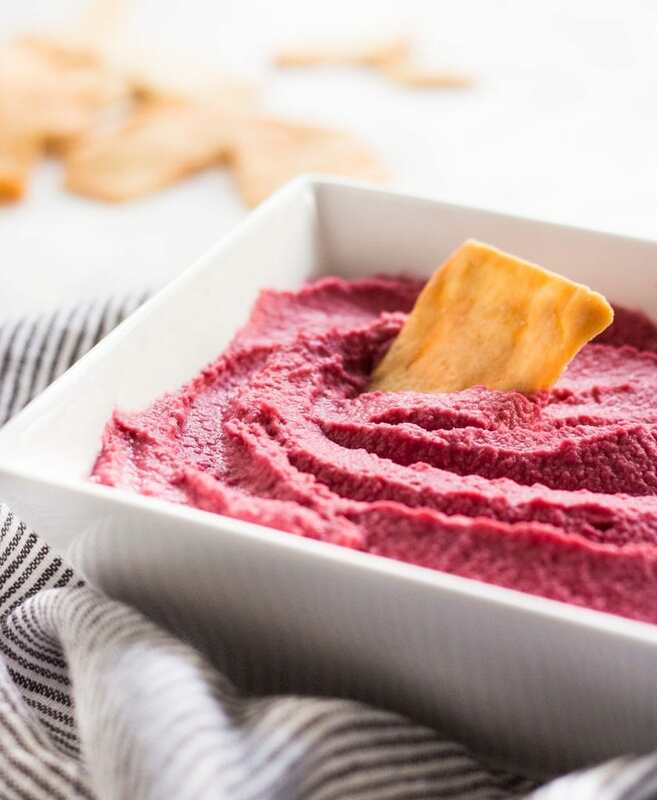 This beet hummus recipe is easy, healthy and delicious. 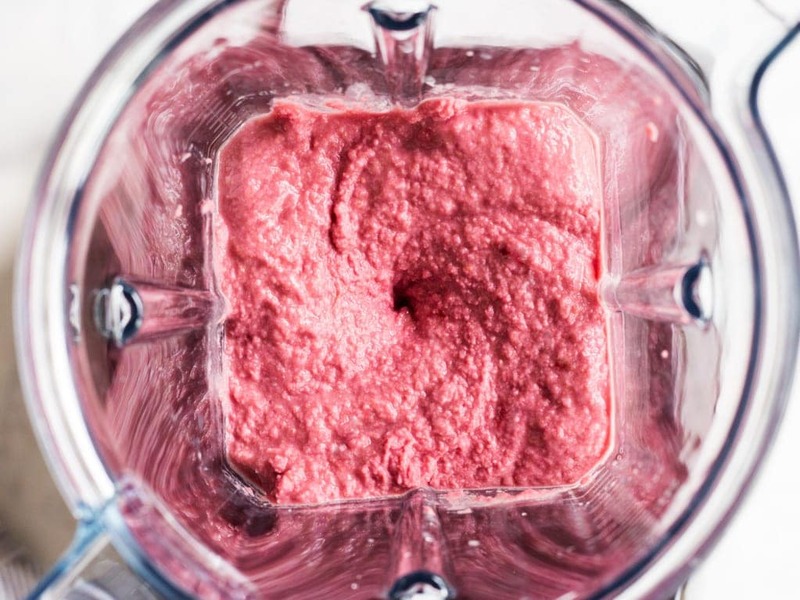 Make it in your Vitamix blender and it will be ready in minutes! Okay, if I’m being honest, this hummus did catch my eye because it’s bright pink, but the flavor is what kept me coming back for more. 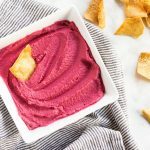 It has all the wonderful qualities of hummus, but with the flavor of roasted beets. 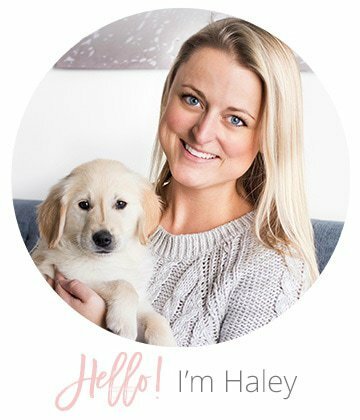 If you’ve never made hummus before, it is super easy. Most recipes call for chickpeas, olive oil, tahini, garlic, lemon juice and salt. Those are the ingredients I used, but then I added roasted beets for color and flavor. The ingredients come together smoothly in a blender (I use the Vitamix E310 Explorian Series). Simply put the ingredients in and let the blender do the rest of the work! 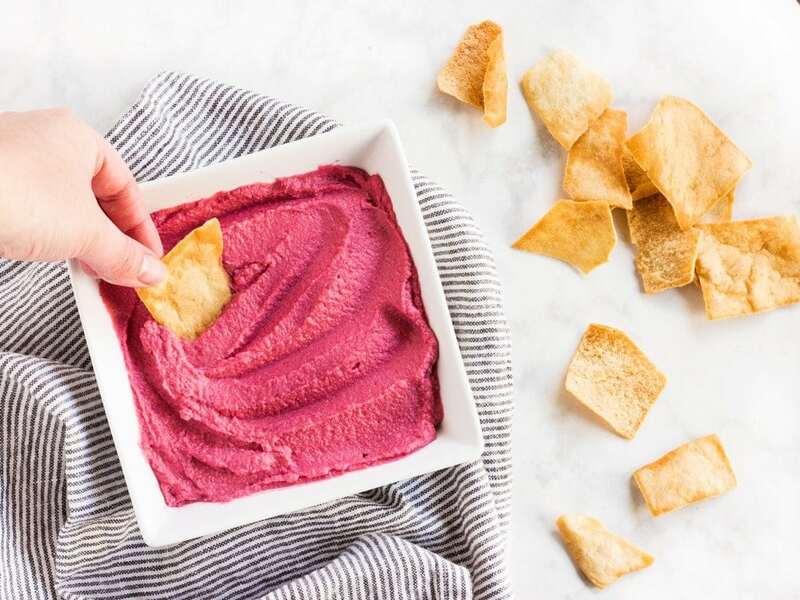 The beets immediately infuse flavor and turn the hummus bright pink. 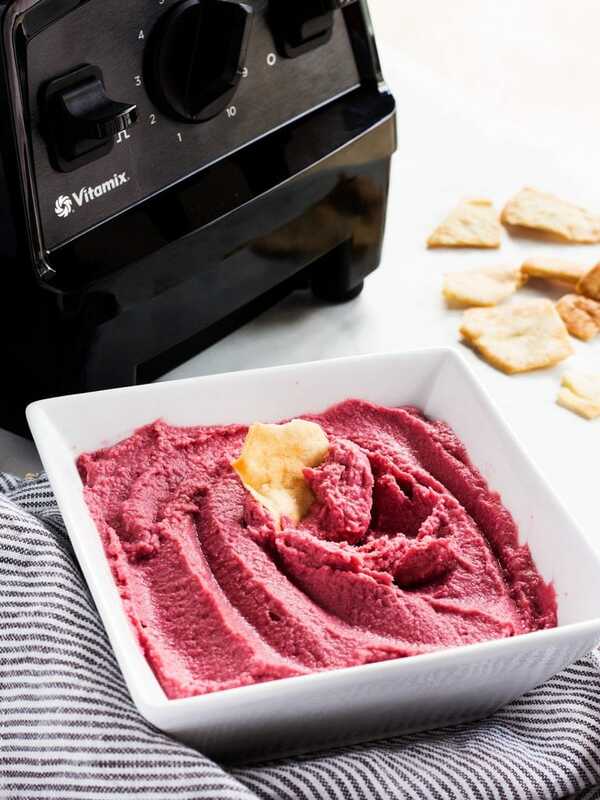 This beet hummus recipe is great to try if you’re looking to eat better in the new year. It would be perfect as a healthier option at parties or as a festive snack on Valentine’s Day! Place all the ingredients in your Vitamix blender and secure the lid. Blend on low speed (variable 1) for 30 seconds. Slowly increase speed to variable 4 and blend until mostly smooth, about 1 minute. Turn blender off and transfer hummus to a serving dish. Taste and adjust seasonings as needed (I added a sprinkle of salt for my personal taste). If it's too thick, add a teaspoon or two of water. Serve with pita chips or vegetables. Beet hummus will keep in the refrigerator for up to a week. Love the bright pink color, it’d be a great Valentine’s Day snack! Time to break out the blender! This is a perfect recipe for the Super Bowl!